Apple has topped the 'World's Most Valuable List' compiled by 'Forbes' magazine with a brand value of $104.3 billion, nearly double than Microsoft which has a brand value of $56.7 billion. Global technology firm Apple is the world's most valuable brand followed by Microsoft, Coca-Cola, IBM and Google , according to Forbes. 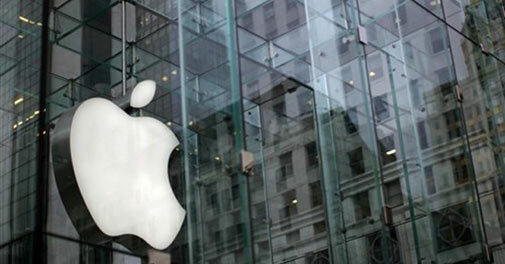 Apple has topped the 'World's Most Valuable List' compiled by 'Forbes' magazine with a brand value of $104.3 billion, nearly double than the other technology major Microsoft which has a brand value of $56.7 billion. "... the Apple name is as strong as ever. Apple is the most valuable brand in the world for a third straight time at $104.3 billion, up 20 per cent over last year. It is worth nearly twice as much as any other brand on the planet by our count," Forbes said. Meanwhile, Microsoft's brand value has remained flat over the past three years, as Microsoft struggles to make the transition from PC to the mobile world, Forbes said. With a brand value of $54.9 billion, Coca-Cola was ranked third in the list, followed by IBM ($50.7 billion), Google ($47.3 billion) which make up the top five. Among the top 10 brands, McDonald's, with a brand value of $39.4 billion was ranked sixth, followed by General Electric ($34.2 billion), Intel ($30.9 billion), Samsung ($29.5 billion) and Louis Vuitton ($28.4 billion). Brands from US-based companies make up just over half of the list of 100, with the next biggest representation from Germany (nine brands), France (eight) and Japan (seven). No Indian company features in the list. Technology brands are the most prevalent with 19, including six of the top 10. Samsung, which came at No.9, had the strongest one-year gain of any brand in the top 100, up 53 per cent to $29.5 billion. The company's value soared 136 per cent over the past three years. "Sales for Samsung's Galaxy S4 smartphone have been on fire and the company also benefits from its market leading position with memory chips," Forbes said. However the value of a brand can collapse in the complex, fast moving technology world, Forbes noted. Forbes had valued the Blackberry brand at $6.1 billion last year, but this year it stood at just $2.2 billion and has come out of the top 100 brands list. Similarly, three years ago, Forbes had deemed the Nokia brand worth $27.3 billion, ninth highest in the world, while today it is worth just $7 billion, which ranks the company at the 71st place. Forbes valued the brands on three years of earnings and allocated a percentage of those earnings based on the role brands play in each industry. The 100 most valuable brands span 15 countries across 20 broad industry categories.